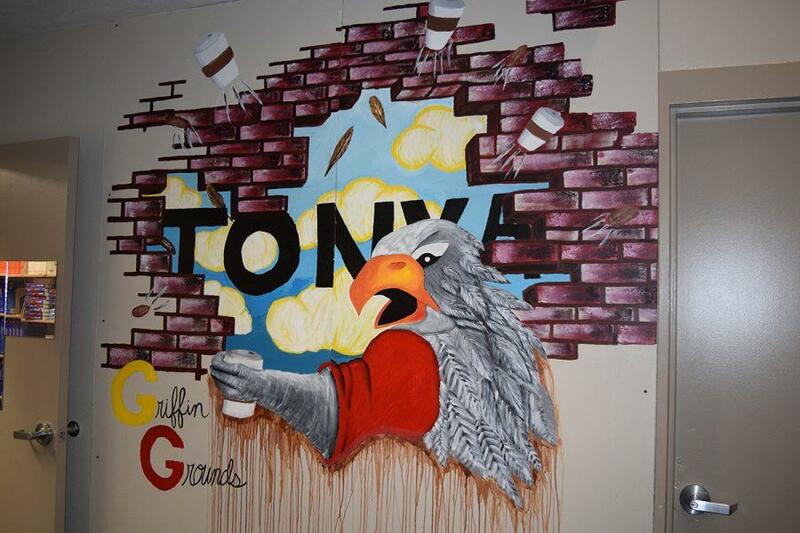 As of Jan. 13, the mural is now on display in the Griffin Grounds cafe. It is the culmination of nearly four months of work. This mural incorporated different designs of students from Art Club and was then combined into one big piece. The mural created by Art Club that is now on display at Griffin Grounds. The Art Club has worked every Tuesday and Wednesday after school since September. The mural provides an opportunity for students outside of Art Club to contribute and join the open club. After finishing design ideas, the most difficult part was figuring out what art club wanted the image to symbolize.